Put a dent in the Universe. Think differently about your vision. 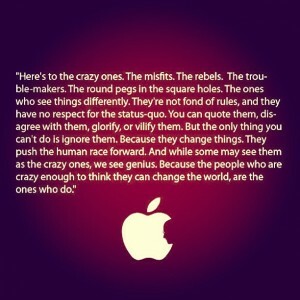 Jobs attracted like-minded people who shared his vision and who helped turn his ideas into world-changing innovations. Passion fueled Apple’s rocket and Jobs’ vision created the destination. Sell dreams, not products. Think differently about your customers. 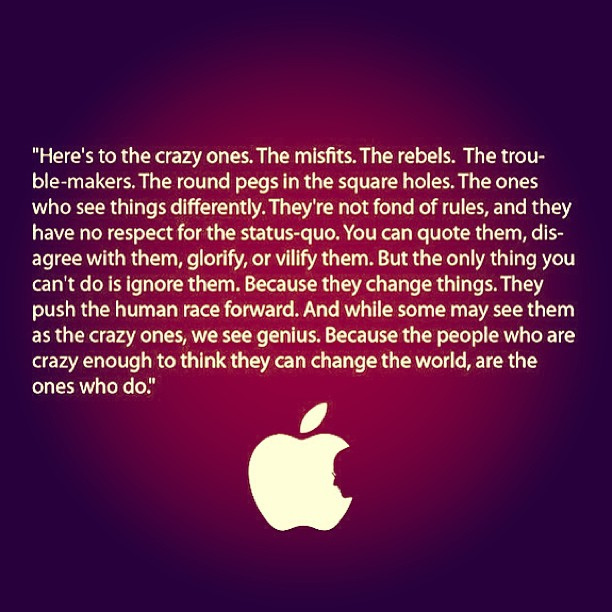 To Jobs, people who bought Apple products were never “consumers.” They were people with dreams, hopes, and ambitions. Jobs built products to help them fulfill their dreams.